These are the fire droids you’re looking for. 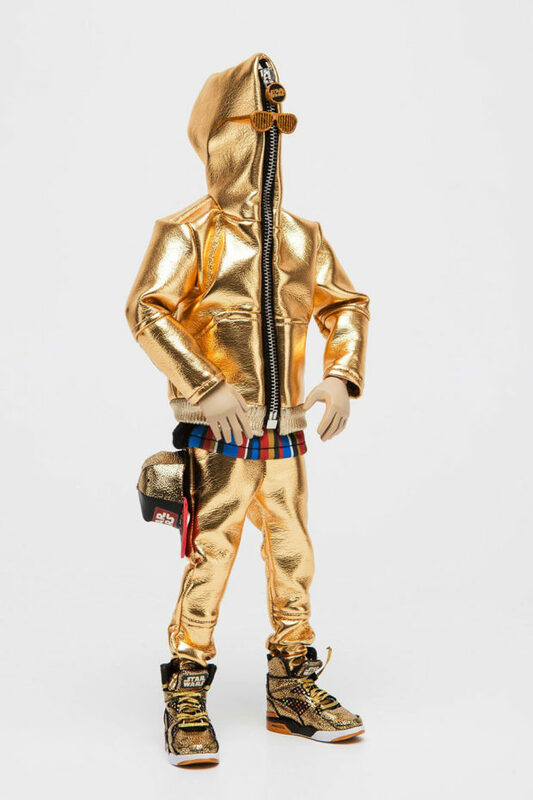 South Korean toy maker Chogy reimagined C-3PO as a street fashion aficionado, turning his armor into golden slim pants and a zip-up hoodie. 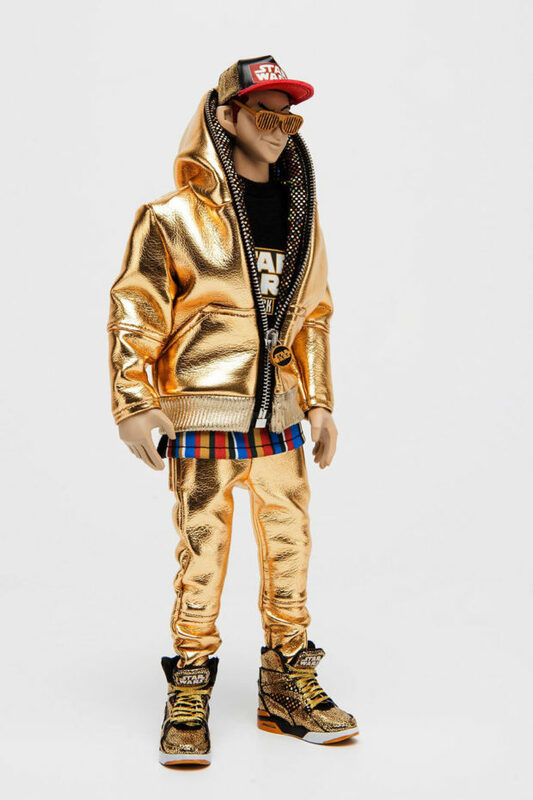 Look closer and you’ll see that the 12″ action figure’s undershirt and the lining of its hoodie resemble the wiring on Threepio. 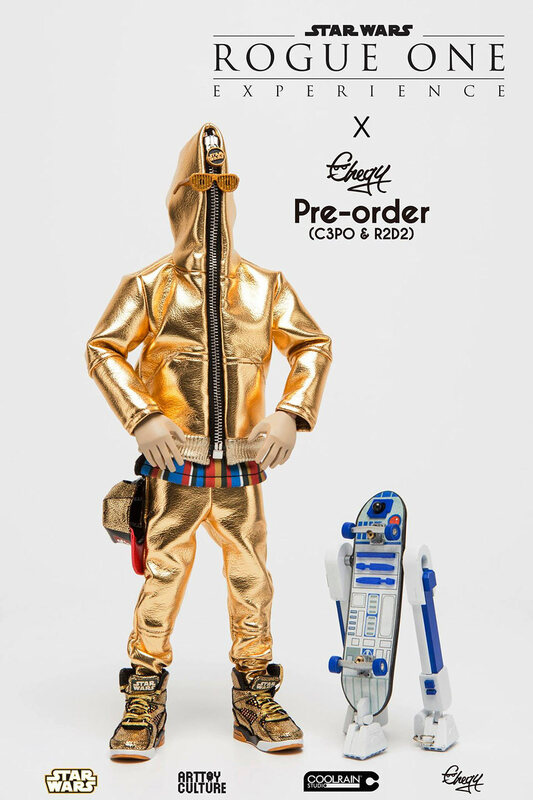 Unfortunately for Artoo, the fan favorite droid takes a backseat here and has been turned into an accessory. 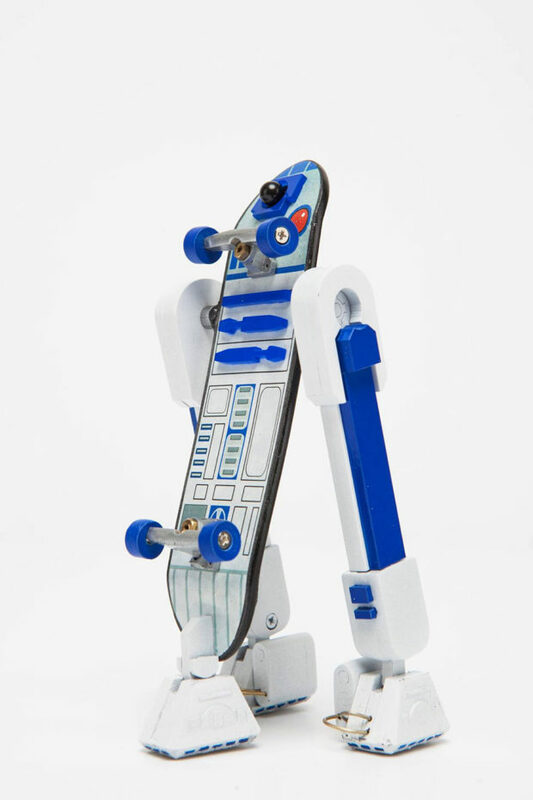 Chogy recreated R2-D2 as a skateboard, though he still has his two legs and three feet. 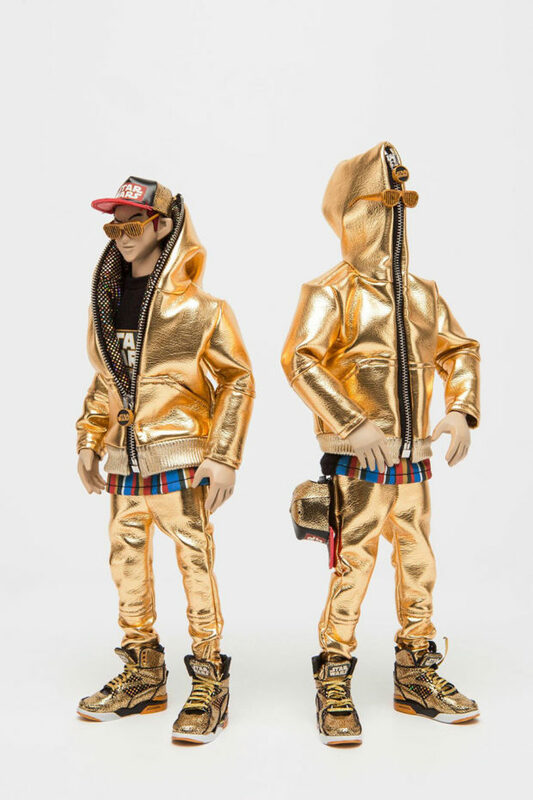 This quirky duo will set you back around $595 (USD) and is limited to 20 units. You can pre-order by emailing Chogy at gyums23@naver.com.